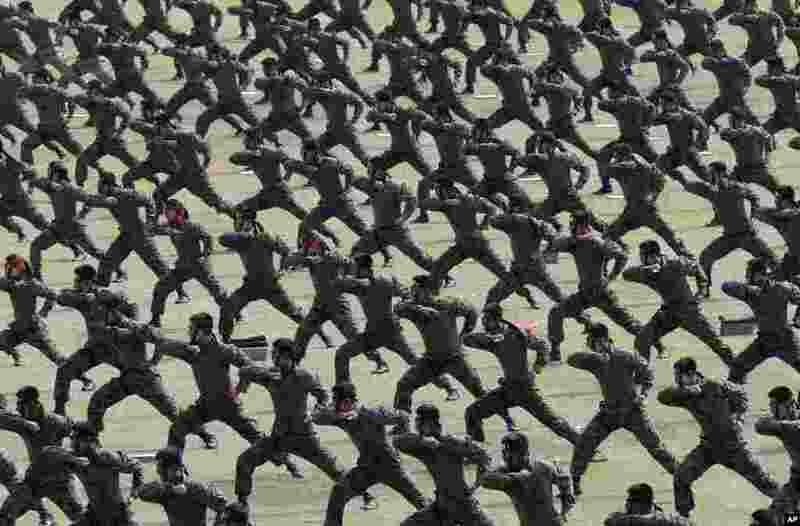 1 South Korean army soldiers demonstrate their martial arts skills during the 66th anniversary of Armed Forces Day at the Gyeryong military headquarters in Gyeryong. 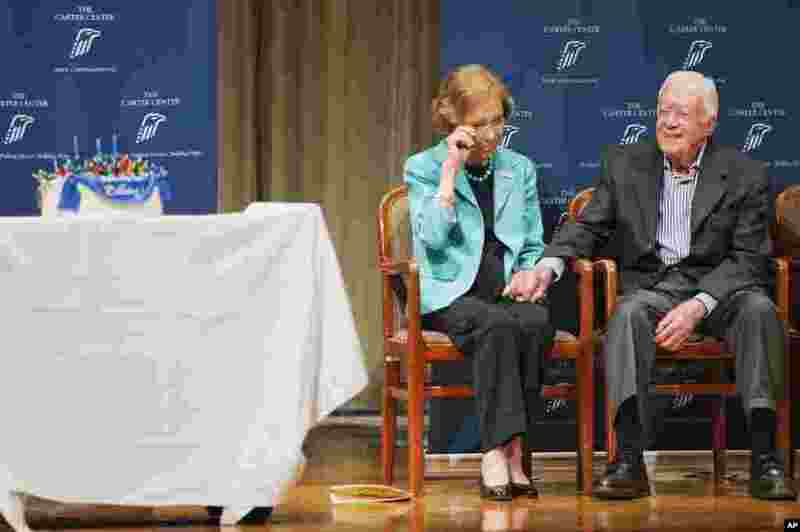 2 Former U.S. President Jimmy Carter, right, holds the hand of wife Rosalynn as she wipes her eye while they are serenaded with the song "Imagine" by John Lennon during his 90th birthday celebration, in Atlanta, Georgia. 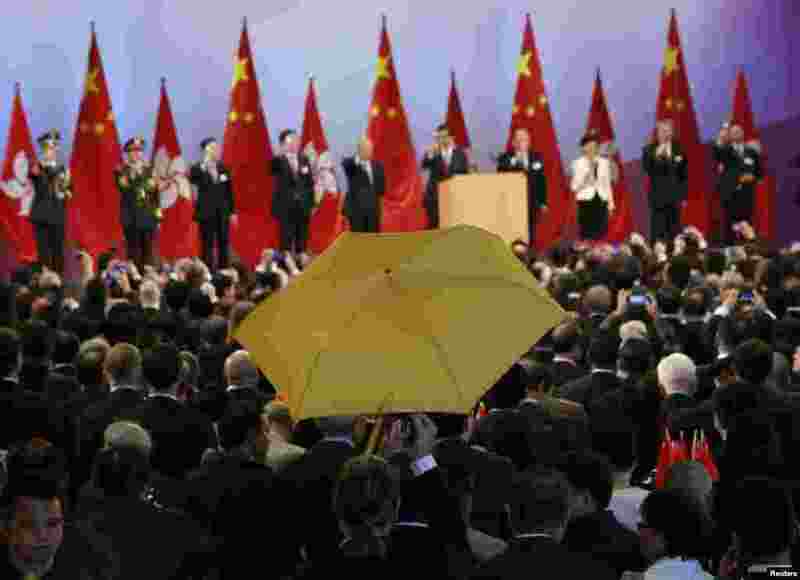 3 Paul Zimmerman, a district councilor, raises a yellow umbrella as Hong Kong Chief Executive Leung Chun-ying (5th R) and other officials make a toast to guests at a reception following a flag raising ceremony in Hong Kong, celebrating the 65th anniversary of China National Day. 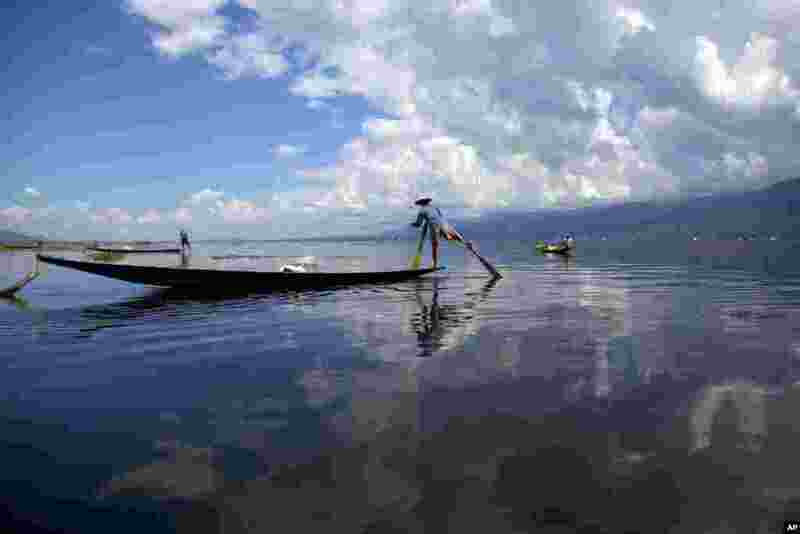 4 Ethnic Innthas row their boats to fish in Inlay lake, Nyaung Shwe township, southern Shan State, Myanmar.